Traditional runway shows, special events and parties will always be a mainstay of a week that celebrates fashion, but I’d like to personally extend a challenge to both the creative forces behind the week and their audiences, to think differently about fashion. Shrug off pre-conceived notions. Vera Bradley will be launching her Winter 2010 collection at the Paper Store in both Bellingham and Dedham. Fashion 101 for Teens at the Boston Public Library would be great for aspiring fashion designers who can meet Jay Calderin as well. The 3rd Annual Emerging Trends Trends show at the Park Plaza which is a great way of glimpsing some future trends and designers. This event is set to be hosted by Lacey Wilson Miss Massachusetts 2010. Celebrating Women Fashion that will focus on Women’s Fashion for all sizes. This will take place in Roxbury at the Breezeway Bar & Grill. Denise Hajjar’s 2010 Fall/Winter Collection will be shown at the Fairmont Copley Plaza with the proceeds going to Dress for Success – Boston. Dress for Success provides professional attire for women that can not afford the right business clothes. This of course is more important now with many women out of jobs and looking to interview for new ones. Sustainable Style with Stilista which focuses on Eco-Conscious fall fashion. Vera Wang Fashion Week Celebration at her Newbury Street Store. 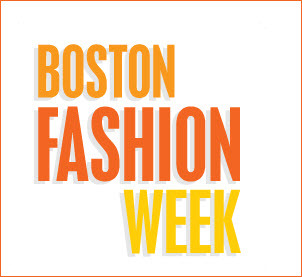 For details on the above Boston Fashion Week events as well as the full list of scheduled events please visit the Boston Fashion Week website. There is a mix of free and paid events but you are advised to RSVP in either case.